Thanksgiving comes a couple weeks early in Brooklyn. 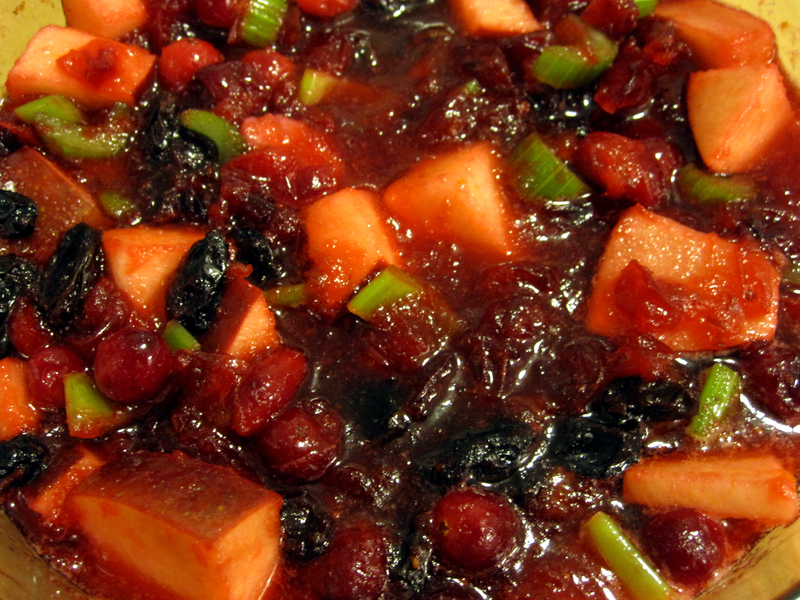 I love this recipe- so as soon as I saw cranberries on the shelf at the co-op, I thought I’d make it. I’m not sure where my mother got this recipe– I couldn’t find it last year when I looked in all her cookbooks- but luckily one of our family friends, Randi, had it. Very fast and easy- takes about 15 minutes. Keeps for a while in the fridge. Oh, and I am going to add this to the category of a– not just for holiday delight- can also use on the aforementioned chick, cran & brie sandwich, w. some turkey cutlets, in yogurt, or on its own. It is that lovely combination of sweet & tart. Colorful, beautiful and delicious. Cranberries, at least the Ocean Spray kind, come in packs of 12oz. So I think it is a bit more practical to have the recipe in those terms– see parenthesis for reduced amounts. ***Addendum: Last time I made, used only 3/4 cup sugar and still good. Perhaps yielding a more tart than sweet result. Would recommend starting at 1 cup sugar and can add more sugar as desired/to taste. Also made the sub of fresh ginger, chopped finely instead of ground and liked it very much. simmer first 3 ingredients for 15 minutes. Add rest, refrigerate.